WHAT CAN BIRDS TELL US ABOUT OURSELVES? Peter Storck is a first time HFBF event leader. “Birds And The Evolution and Spread of Humans on Earth” is the title of his topic. 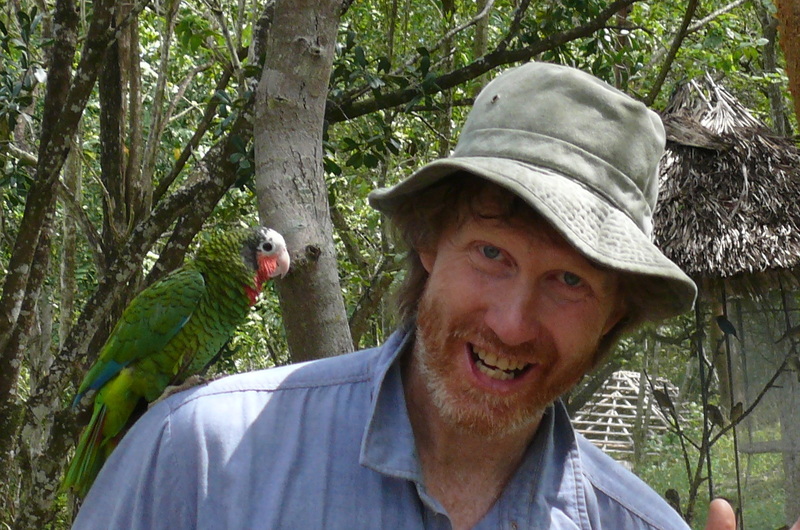 Peter will demonstrate what human encounters with birds 600 years ago in New Zealand, 35,000 years ago in Germany and pre-humans three million years ago in South Africa, tell us about ourselves. Join Peter on Monday May 27 – 1:30 PM (indoors). 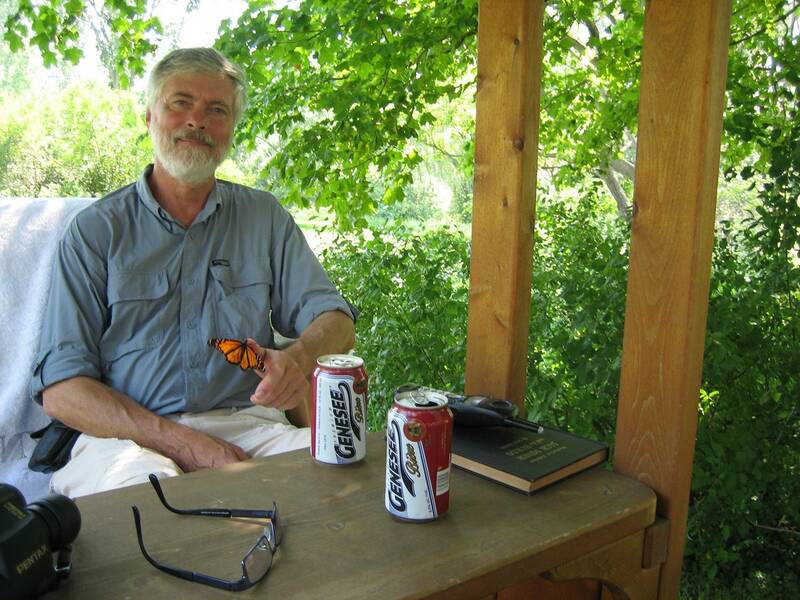 Peter Storck relaxes with a friendly Monarch and assorted refreshments. I’m an archaeologist but also trained in human evolution and the Natural Sciences. My research at the Royal Ontario Museum concerns the first peoples to colonize Ontario, Canada and North America at the end of the last Ice Age. I’ve worked in Alaska, Utah, Arizona, Mexico and northern Ontario (an exotic place too) but most of my work was in Central Ontario extending from near Peterborough to Thornbury, but in relict parts of the landscape few people would recognize. Although I’m retired from active field work (well mostly), I still spend a lot of time writing, both non fiction and most recently fiction with an archaeological orientation), and keeping up, though books and the Internet, with recent discoveries in Paleolithic archaeology and human evolution, as well as continental drift and just plain science. If you asked James when and where he likes to bird, he might well say always and everywhere. His philosophy is simple, “There are birds in all landscapes one just has to look”. James just dabbled in birds until his son turned twelve. It was then Simon found a Northern Waterthrush in the backyard. That sighting opened a door James didn’t know existed. He knew the common birds – but had no idea 200 plus species visited his yard. For James birding is not just about the numbers and rarities. It is cherishing memories of Orioles and Warblers close up, a spring morning chorus and even a Chickadee on your hand. He has led hikes for the HFBF for many years and enjoys the opportunity to show attendees some of Bruce counties Birding Hotspots. The festival is timed so spring migration is in full swing and birds are easy to find in their full singing splendor. He is an active e-birder and believes this is an excellent way to record observations for all to see almost instantly. He is also an active member of the Bruce Birding Club and compiler of the Kincardine Christmas Bird Count. James welcomes you to step through the door on his hikes Into the Bruce. “When asked where the best places to bird are, I am sometimes reluctant to answer. Not because I am trying to keep the sites secret but because I am embarrassed. The average person seems to think the best places for birds are remote and pristine, and they can be, but often these places are costly to get to. More realistically birders look for their feathered friends close to home. A birders yard is often an oasis of plants and feeders specially placed to lure birds closer. Birding doesn’t get better than finding a rarity right in your own backyard. Birders have a knack for looking at landscapes and seeing the beauty in the birds. A landfill site is not just a pile of garbage but also a mecca for gulls and other scavenging birds. 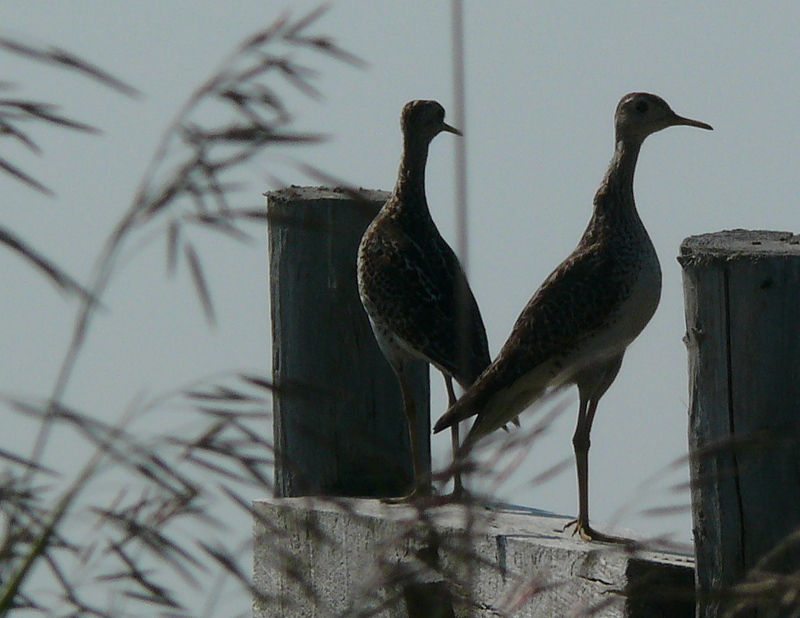 Sewage lagoons are sanctuaries for shorebirds and waterfowl. Some urban parks are bird magnets and havens. I believe with a little urban planning these places could be enriched and turned into truly scenic wildlife habitats. For now we just have to keep up wind and dream a little. When visiting Bruce County farmland I try to imagine a pristine prairie. Hidden within this idyllic sea of grass are specialized creatures waiting to be discovered. Because of a lack of perches some grassland birds have evolved to sing while flying and also incorporate aerial displays. Even if blindfolded the babblings of Bobolinks conjure images of fields and meadows. The amazing woo woos of the Snipe as it dips and dives way above its chosen territory is not easily forgot. Yet other songs are cleverly devised to misrepresentation. The Grasshopper Sparrows high-pitched trill could easily be mistaken for a Six Legged Hopper. Birds don’t get much more secretive than the Henslow’s Sparrow. It’s weak chip is usually only heard from the tall grass at night. An Upland Sandpiper’s presence signifies short grass and that probably means grazers are nearby. Uplands Sandpiper – one of the few in its family that doesn’t frequent the shore habitat. Other grassland signature birds we hope to see are Eastern Meadow Lark, Clay-Coloured Sparrow, Northern Harrier and Sedge Wrens. When Europeans first contacted North America, Ontario was nearly completely forested except for the occasional beaver meadow. By 1900 only 10% of the forest remained. Pockets of grassland species initially benefited and expanded into the newly created habitat. Most recently as pasture decreases and the land is subjected to more intensive farming practices the grasslands and all its inhabitants are in jeopardy. 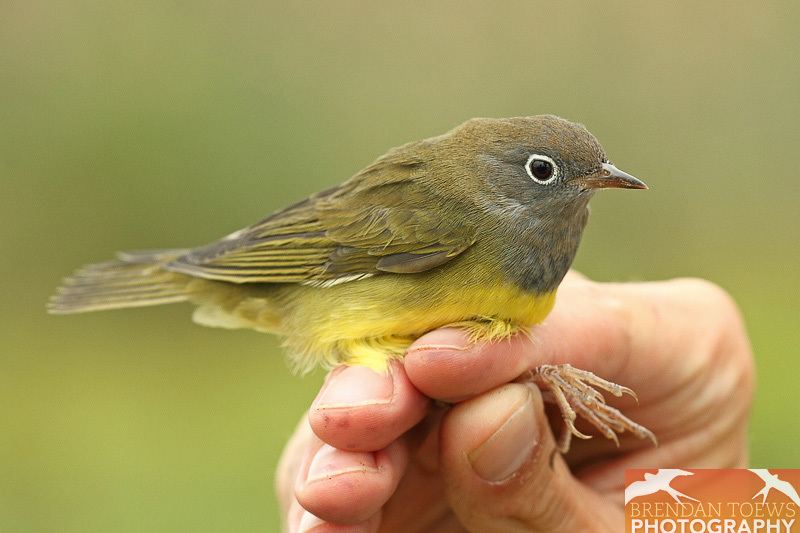 Severe bird declines in the prairies brings more significance to these eastern populations. There are solutions and we all can play a part. 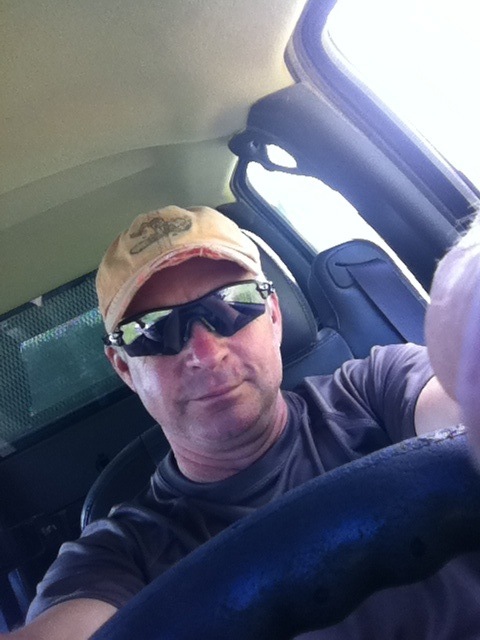 “I’m a birder, photographer and bird bander from Ottawa, ON. For the past 6 years, I have spent most of my summers on the Bruce Peninsula. This will be my 3rd year working with the Huron Fringe Birding Festival, going from a hike assistant to a hike leader, and now I will be doing daily banding demos. I banded my first bird (a Gray Catbird) in the summer of 2008 while I was a participant of the Young Ornithologists Workshop at the Long Point Bird Observatory. The following year I was accepted into the Young Ornithologists Internship, a month-long program that helped to hone my banding skills. Since then I have spent over 7 months staying full-time at bird observatories, and I have banded close to 4000 birds of 127 species. In that time I have had the opportunity to see and band many interesting species, such as Yellow-breasted Chat, Connecticut Warbler, Barred Owl, Northern Shrike, Bonaparte’s Gull, Baird’s Sandpiper and many more. 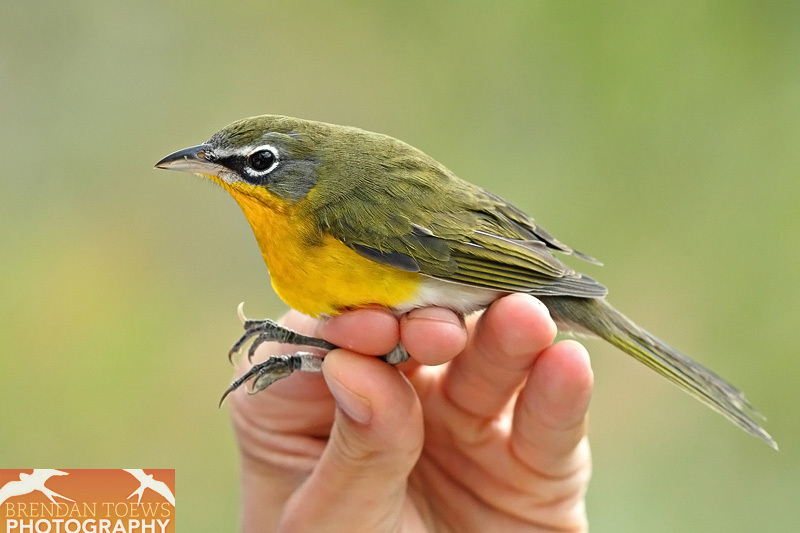 Bird banding data has many scientific uses, including documenting population dynamics, migration routes and species’ life spans. It also helps us understand the daily life of an individual bird, especially when colour bands are used. 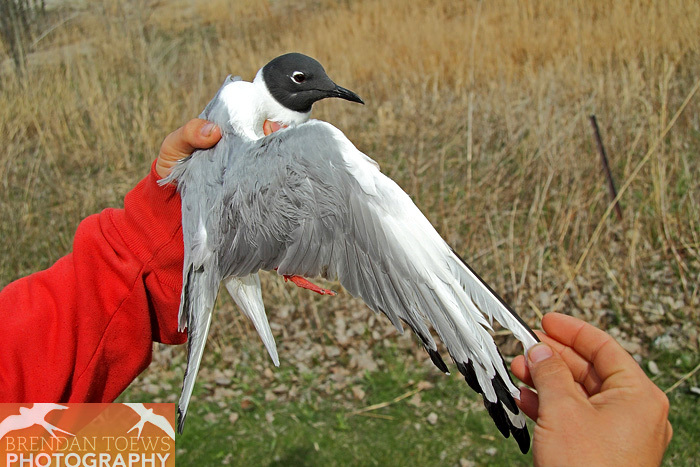 Banding helps to determine the size of territories, and how faithful certain birds are to specific breeding and wintering territories. Brendan’s Bird Banding Demonstrations take place on Saturday May 25, Sunday May 26 and again on Saturday June 1 and Sunday June 2. Sessions start at 6:00 AM and end at Noon. 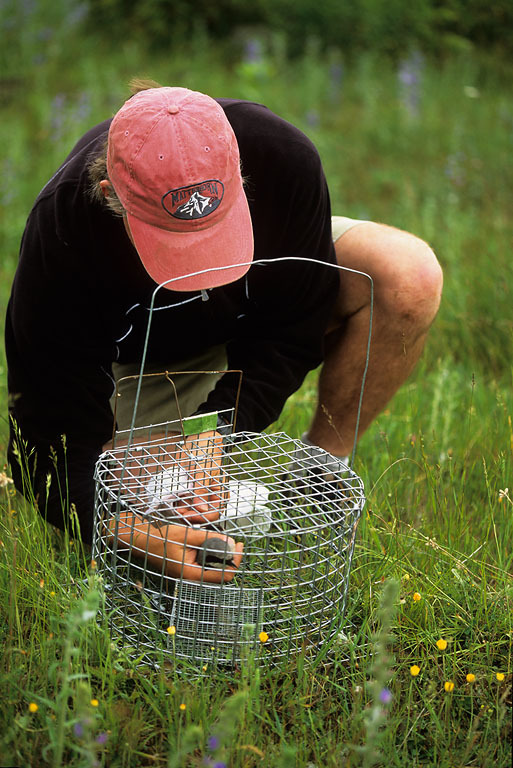 For the safety of the birds, bird banding is weather dependent. Sessions are free. There is no need to register. HURON FRINGE BIRDING FESTIVAL ON-LINE REGISTRATION. Mark Wiercinski – In His Own Words! 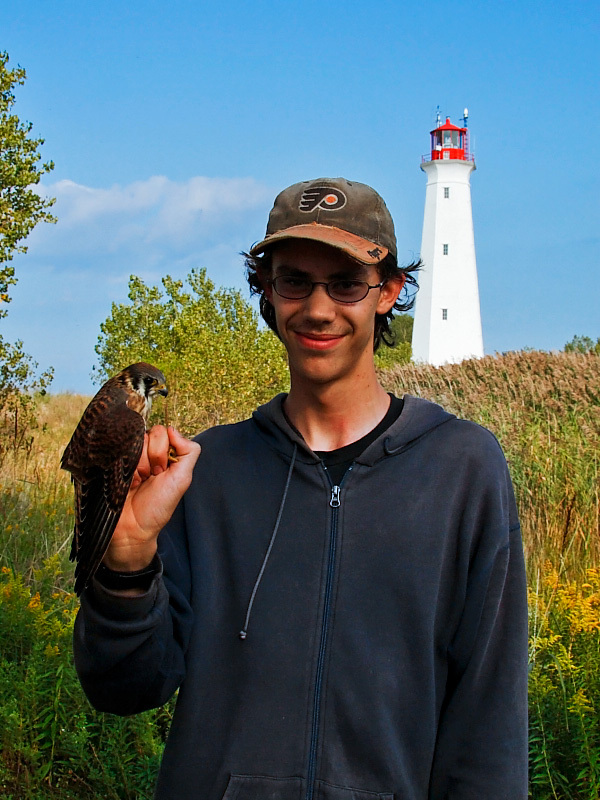 Mark will be Event Leader on three different hikes for the Huron Fringe Birding Festival this year. We asked him to tell us what to expect and here – in his own words – is the full story as he sees it. *Bayview – Coffin Ridge Hike and Wine Tasting!!! Mark takes a closer look at a Shrike. Okay that is what the web says…hmmmm makes me sound old…gray hair and an original from the first bird fest…you know I was only 11 on that one right – a child prodigy bird hike leader! Ha! Okay so I wasn’t eleven. And I wasn’t even a hike leader…I was a mist net demonstrator. I am not sure I even caught a bird that year. Oh well look at me now! I shared a warm beverage with Kerry Jarvis at Crema Café in Port Elgin the other day. The purpose of our get-together was to chat about his thoughts on his upcoming Huron Fringe Birding Festival Events. That’s when he proudly showed me a copy of Outdoor Photography Canada magazine. The cover featured a stunning shot of an Eastern Grey Treefrog. Kerry Jarvis is recently retired after 28 years at Seneca College where he was Program Co-coordinator for Event Marketing Management. He taught Marketing, Photography, Videography, and Event Management. 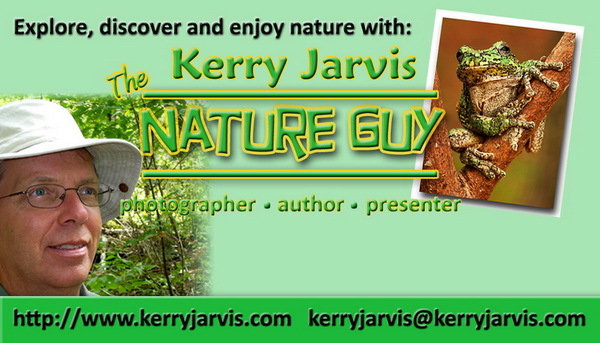 A naturalist, educator, photographer, author, presenter, gardener and traveller, Kerry’s varied interests and background proves he loves everything in nature and he’ll go out of his way to experience and record it. 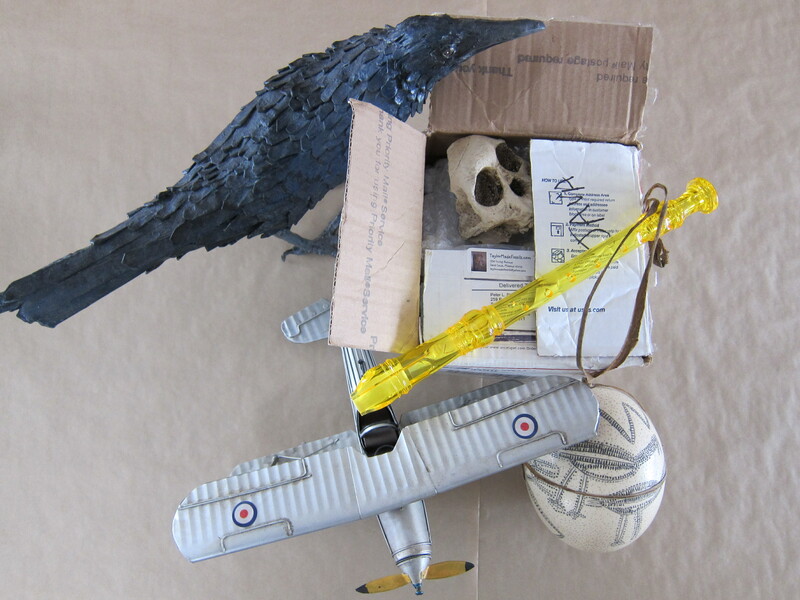 Our festival takes its name from the migration corridor along the Bruce Peninsula. This “Huron Fringe” along the Lake Huron coastline offers birders, naturalists and photographers unique opportunities to discover nature in the early spring. At the end of the migration period, birds are on nest, migrants are everywhere, insects abound and wildflowers are beginning to bloom. From our base at MacGregor Point Provincial Park we are uniquely placed to explore Lake Huron’s shoreline and the Bruce Peninsula to discover all that spring has to offer. Join us for this eight-day Birding and Nature Festival held annually on the first two weekends after the May 24th (Victoria Day) long weekend. To complete the online registration process please select the registration field from the Huron Fringe Birding Festival ‘drop-down’ menu. If you have questions regarding the Festival or application process please contact our offical registrar at birdfest@rogers.com or Matthew Cunliffe at 519-389-6231.